Hurry in before its GONE!! 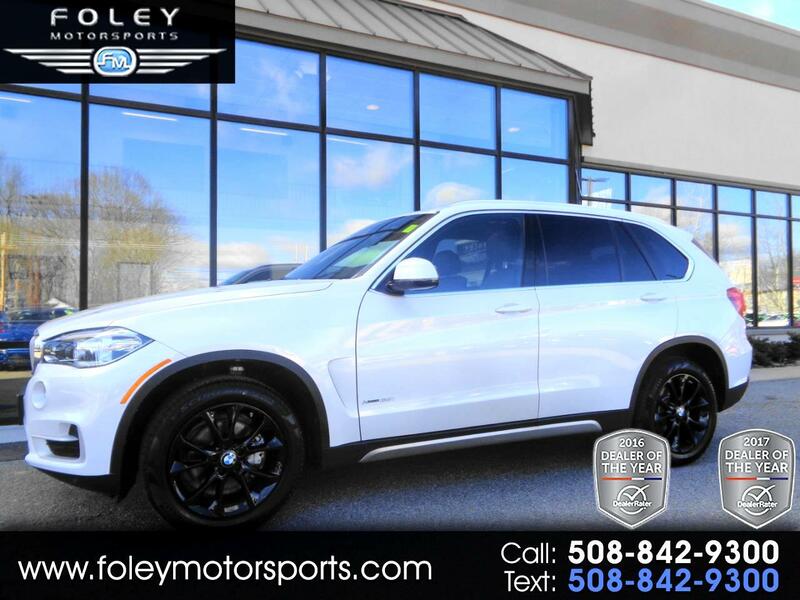 2018 BMW X5 xDrive35i Sport Utility... Mineral White Metallic on Mocha Dakota Leather.. 3.0L I6 DOHC F 24V Engine... ALL Wheel Drive... AUTOMATIC Transmission... WELL Equipped... NAVIGATION System... DRIVER ASSISTANCE Package with Speed Limit Information, Head-Up Display, Active Driving Assistant, Lane Departure Warning, Forward Collision Warning, Pedestrian Warning and City Collision Citigation, Active Blind Spot Detection and Lane Departure Warning... PREMIUM Package with 4-Zone Automatic Climate Control, SiriusXM Satellite Radio and Comfort Access Keyless Entry... PANORAMIC Sunroof... COLD WEATHER Package with Heated Front Seats and Steering Wheel... 19'' Y Spoke Alloy Wheels in Black... XENON Headlamps... ONLY 10,796 Miles!! Please feel free to contact our experienced sales team with ANY questions or to schedule a test drive. Buy with confidence from the area LEADER in Pre-Owned LUXURY. Additional 5 Year/100K Extended Warranty Coverage Available. ALL of our vehicles are meticulously detailed and serviced by our factory trained certified technicians. Call or email us at sales@rjfoley.com **$0 Down** 100% financing available with great rates! Trades are always welcome. National and International shipping quotes are available.